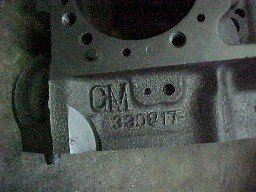 I know that Chevy Casting Numbers are on several sites on the World Wide Web but I thought it would be a good idea to list them here too. I actually went through several lists and made some corrections before making this list. 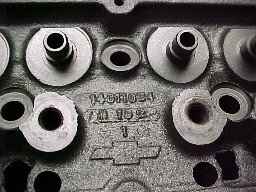 I hope it helps you identify the Chevrolet engine parts you are working on. If you notice any mistakes or have any additions, use my contact me form and let me know so I can update the list. 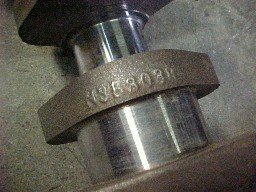 If you are looking for the actual Chevy engine codes that are stamped into the block during assembly, Nasty Z-28.com has an excellent block stamping number decoder. 10134352........................Bowtie, 45cc, angle plug, "low" port, 223cc intake port,aluminum, 18' race head10134363........................NOTE: This casting # has been used in many different versions of this aluminum 18' and 15' Bowtie race head. Different chamber volumes, port volumes, port locations, valve sizes, etc. were used. Check this castingcarefully to determine which features it may have. There are at least 6 different versions as of 11/99. 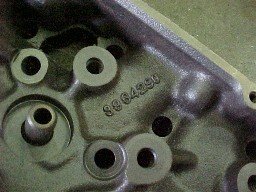 25500141........................Buick/Chevy aluminum, 10' race head, 42cc chambers, symmetrical ports, 235cc intake port volumes, 2.1"/1.625" valves25534351C..04-up................Gen.I Bowtie, cast iron Vortec head, 175/65cc ports, 2.00/1.55 valves, "small port head"
DID YOU FIND THE ANSWER TO YOUR QUESTION ??? I check my email pretty regularly and should be able to get an answer to you fairly fast.